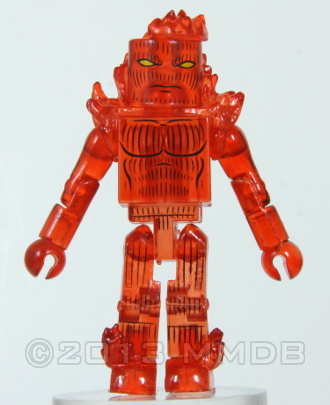 For the nitpicky, opinionated and the indignant - which old or previously released Minimates would you like a redo of? 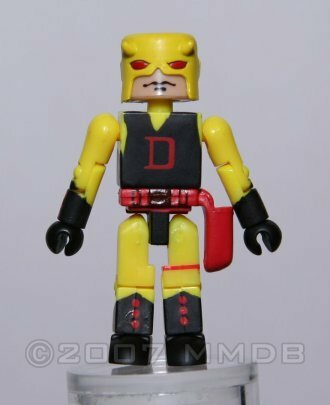 We really really need a new version of Daredevil's original costume, we've had some fantastic Daredevil's and I want a yellow one to match those. If just for the D-Man Within. First up, I don't mind this one, it's good enough at capturing his earlier appearance - but what I do mind is that for the story this was meant to be from - it's off. 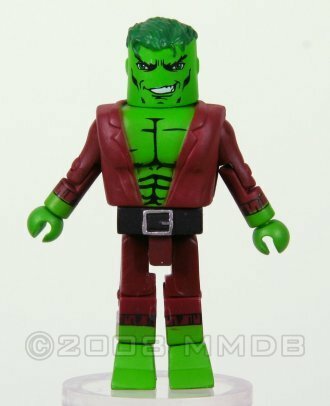 Drax was in his big dumb brute form in Infinity Gauntlet and this is crying out for Hulk pieces to bulk him up. I mean, this is coming, surely... right? Yeah? Surely? 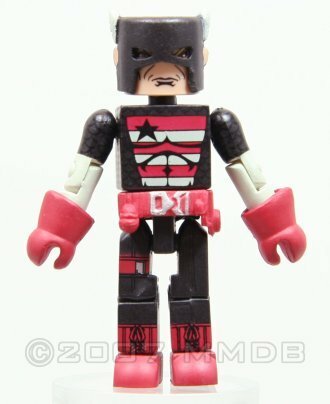 I absolutely hate this Minimate - the really bad printing on the skirt piece, the torso being totally blank underneath the the chest piece, that chest piece itself, the colours and it just looking awful next to a Thor Minimate..
Really unlikely this one, but this was the costume he wore in Infinity Gauntlet and for that I want this one redone. For the time being, Professor Hulk legs on a regular Hulk will suffice... BUT I'd be down for a new version of this instantly. 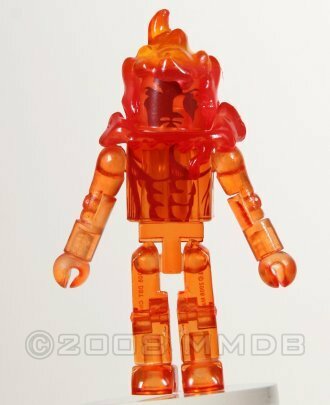 This... doesn't really looke anything like the Golden Age Human Torch. His face was generally depicted without features and instead just vertical lines. Same is true of his chest. 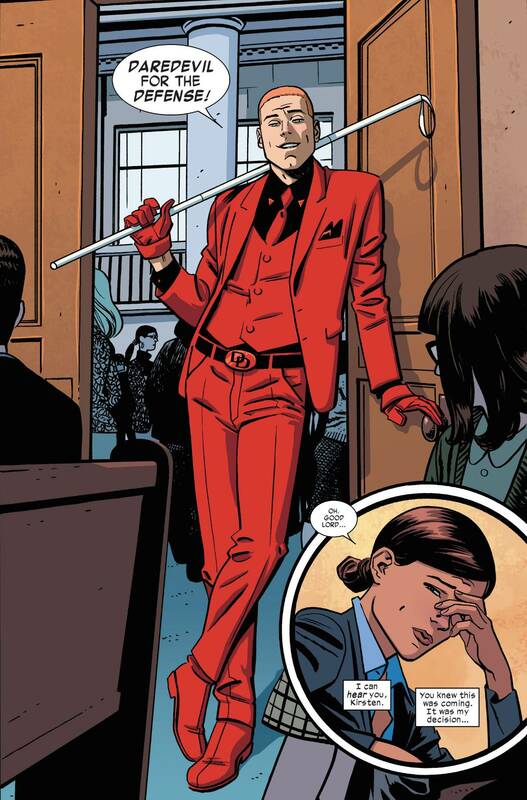 There are Johnny Storm Human Torches that look a bit more like the guy than this. Needed badly. Really badly. 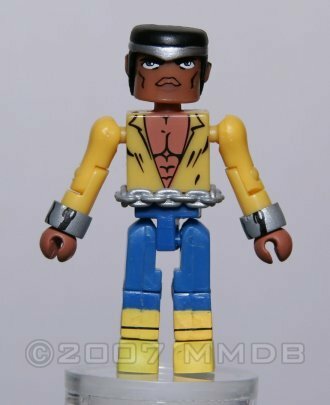 The modern Luke Cage's are fine, but this is MY Luke Cage and he's badly represented alongside everyone else with an ancient Minimate! The zombie one was a bit of a tease, but I still think DST could do an even better version now. 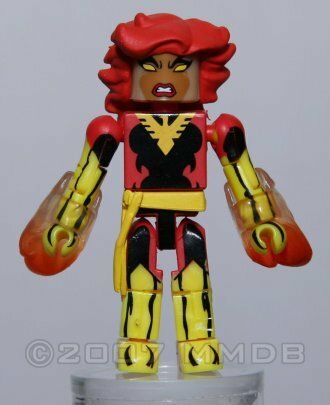 I'm honestly surprised we've never gone back to the well and gotten a new iteration of Dark Phoenix. We've got two good 'mates of the Green version and a good 'mate of the White, but this is all we've got for the Red. 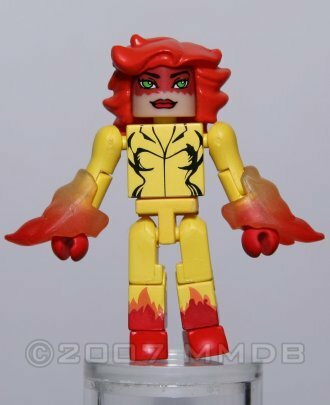 C'mon, some of us want to make a Rachel Summers kitbash here! We've got two She-Hulks but I'm just not satisfied with either. 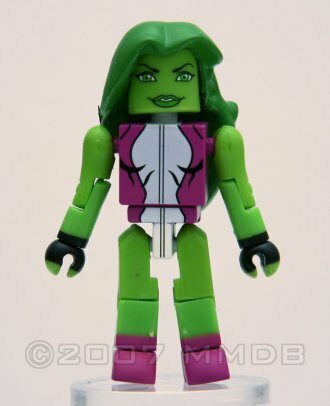 Maybe it's my desire to have a more classic attired She-Hulk, maybe it's because neither of these really works well with spare Susan Storm parts, or maybe they're just not particularly great at capturing the character's likeness and personality. 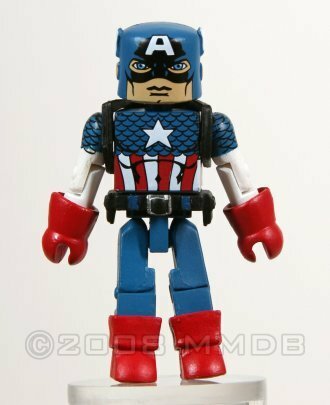 Most the parts from this are still decent, just the fact the arms are generally wrong (it's a frequent artist mistake people give him white sleeves ala Captain America's) and the shield being completely wrong. Also, incredibly doubtful, but I am one of the only ones but I'd kill for a mask like this instead of the ones Cap's usually have. 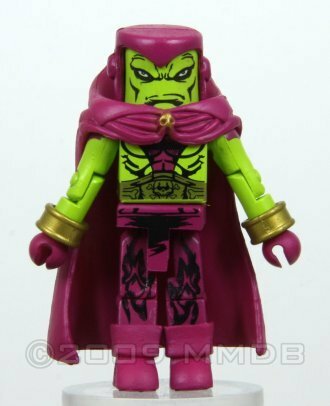 I mean, c'mon, the guy is essential to most Avengers line-ups and you nailed that "modern" design and this old version is really lame - even if, like me, you get spare Loki parts to kitbash non-phasing parts. Wasn't going to list him because the second one is actually pretty decent but also because I was fortunate enough to get both and use the good parts from each to kitbash a really satisfying Minimate that is perfect, but he really could do with a new version for everyone else to get. Power Man and Iron Fist are definitely at the top. I'd also throw comic Black Panther on here. 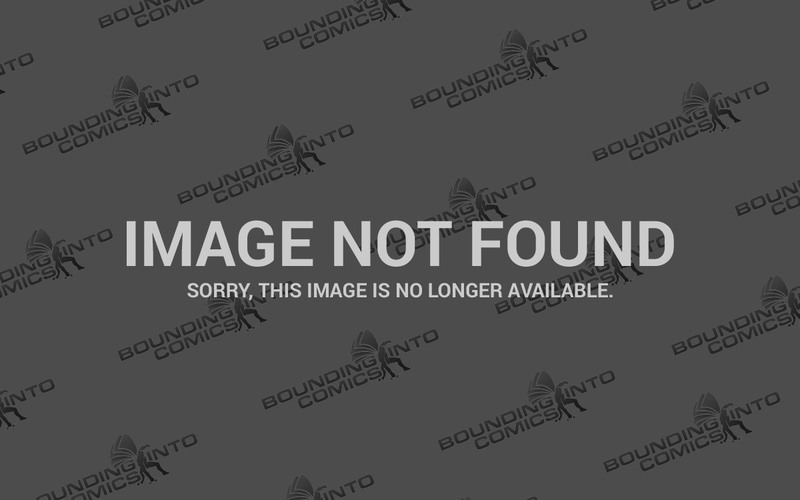 Oh, and I want a new Adam Warlock in his classic Jim Starlin 70's outfit. I was really surprised this thread didn't open with captain britain with all the talk in the other thread. Infinity War Thanos w/ Infinity Gauntlet, classic Black Panther, Ronin, Ms. Marvel, Uncanny Avengers Havok, Johnny Blaze Ghost Rider, and Danny Ketch Ghost Rider. Oh Ronin is a good one for a redo. But maybe the MCU version will be able to pass for it? 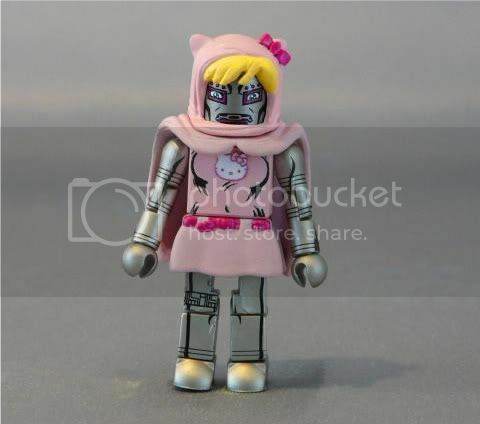 Dear oh dear oh dear oh deary me.......I almost can't believe that that particular minimate actually exists ! Iron Fist ? Yet again the ol' slip -over or paint argument rears its head ...........this character begs for a painted mask with a separate head . IMVHO. I want a new Scorpion. The old one I have suffers from Stumpyneck where the neck was shorter than your average minimate so the head is barely above the shoulders and can't move well. Plus I'd like to see a longer more articulated tail. I'm pleased that your opinion differs to mine .......like I said the ol' slip over or paint argument rears its head. 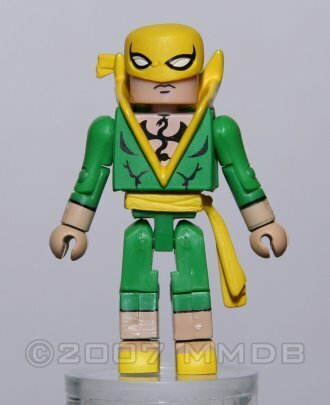 All I'll add is that Iron fist wears a bandana not a mask as thick as a banana. Totally agree with the yellow Daredevil. An upgrade should come with the backpack he kept his street clothes in. Can't believe I forgot Ronin. Definitely. I switched out her hair and head a couple months ago (can't remember where the head was from, Black Cat maybe?) and it completely freshened up the figure. You're right, that's really all you need to do. Abomination (classic) and The Leader. Dark avengers ms marvel maybe? 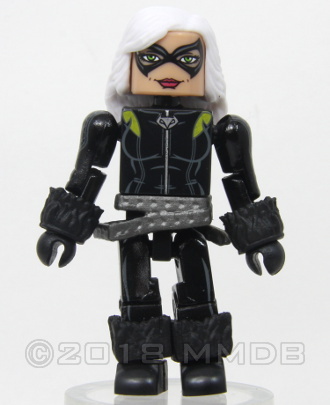 I don't think black cat's mask would look right on her. But maybe? Oh my god yes the Leader. Arguably the most necessary minimate update. 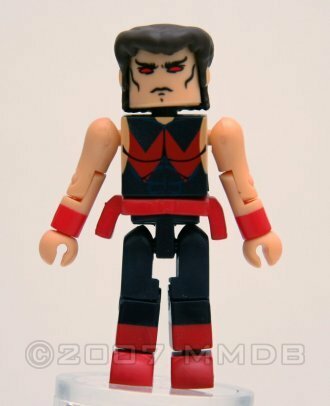 We've gotten the comic version precisely once and it's not even that great of a minimate. Head is good but the rest isn't. 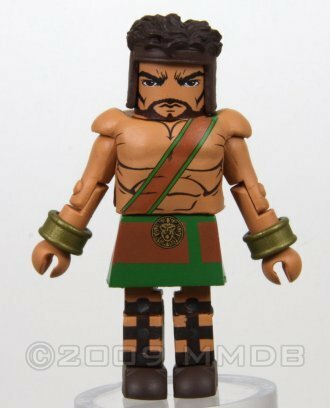 When it comes to outdated minimates where there aren't any other good versions available I don't think the Abomination has much competition. I could definitely go for the Leader, the animated one does not work at all for me. 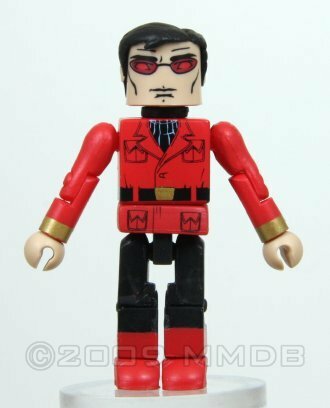 I think a lot of Avengers could use updates, we barely have any full teams without using outdated minimates. 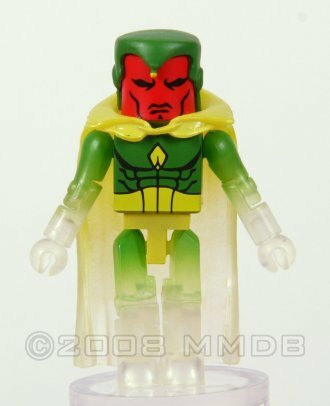 Classic Vision and 90's Wonder Man would be the top of the list for me. U.S. Agent and Hercules are also pretty high. I'd love to see 90's Modular Armor Iron Man updated with new paint and some add-ons. I'm sure I could come up with more if my Avengers display wasn't packed away. I know we've gotten a few versions... but I don't think we've quite gotten a *perfect* Doom yet. 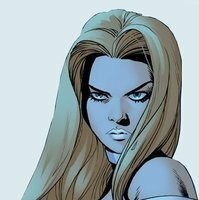 I wouldn't say 'no' to an updated villain/Hellfire White Queen, either. Yeah, I really like the MvC Doom... just not in hand. It looks great but he's just not very poseable. He looks good if you just have him stood static and that's it. I think whenever I want to pose him or play with him, I tend to give him Spectre's cape and hood and some spare Ultron arms. All Credit To Mini_Myte. 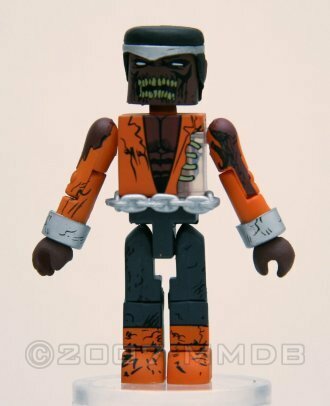 This ranks as probably fav Minimate custom of all time. Yes. Combined with Boyd's repaint of the pirate ship as the "pretty pirate ship", that was a good year for pink. Would love to see a modern US Agent. With a really angry mug. I'm a big fan of this design for Beast. Wouldn't mind Falcon's post-Cap look. Captain Britain. Either of these two suits. Also, I wasn't looking for it but I really like this design for Union Jack.